Lataa suomenkielinen biografia tästä (PDF). Download longer version in English here (PDF). 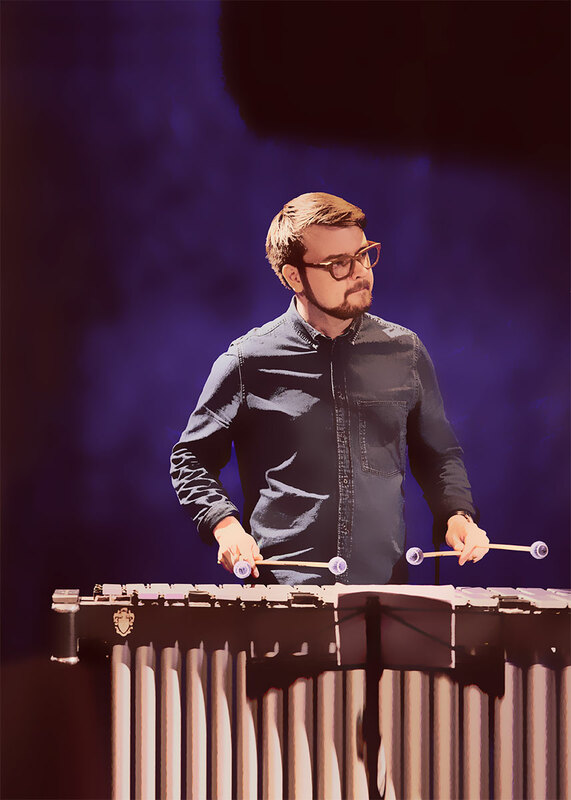 Vibraphonist Panu Savolainen has quickly secured a steady foothold in the active jazz circles thanks to his knack at effortlessly inserting his personal style of playing and ability to bring out a wide palette of colors from his instrument. Despite his young age, Savolainen has already gained attention especially with his own combo Herd, which won the first prize of the European Jazz Competition presented by Rotterdam’s North Sea Jazz Festival in 2011. After that, Savolainen hit the jackpot with Herd and singer Aili Ikonen performing Finnish jazz evergreens, and a project honouring a late Finnish composer Toivo Kärki with chamber orchestras and his new trio. Another noteworthy early accolade for Savolainen was the ”Artist of the Year” selection by Finland’s premiere jazz fest Pori Jazz Festival in 2010. Since 2014, he is the artistic director of Kalkkiranta Jazz Festival following pianist Iiro Rantala. What makes Savolainen a unique jazz player is his background as a classical percussionist. That being said, his playing is a fresh combination of no-nonsense swing and technical finesse, always serving the music at hand.